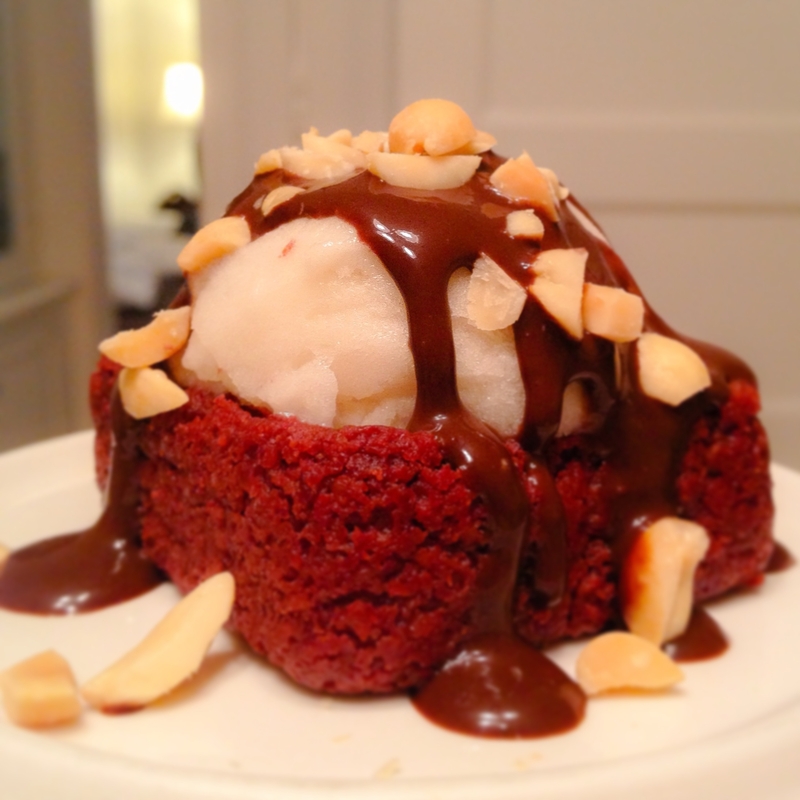 An incredibly moist red velvet brownie with a unique ingredient that has great health benefits! Top decedent brownie with your favorite ice cream and sundae sauces! Recipe: In a food processor blend together, 1 can Red Kidney Beans, 2 TBSP Cacao Powder, 1 Scoop Optimum Nutrition Chocolate Cake Batter, 1/2c Quick Oats, Â½ tsp Salt, 1/3c Raw Honey, 2 Stevia Packets, 3 TBSP Coconut Oil, 1 TBSP Butter or Vanilla Extract, 1 tsp Baking Powder, and 10 drops of Red Food Coloring. Pour into PAM sprayed individual muffin tins or pan, and bake at 350 for 15-20 minutes. Top this with your favorite ice cream and sundae sauces!